After a few days in the great outdoors, the last thing you want to do when you finally get home is tackle the task of cleaning your gear—we get it. But, as any outdoor enthusiast knows, gear is pricey stuff—and that’s if you buy it once. However, putting in just a little bit of time and effort into keeping your gear cleaned, fixed, and stored properly has big impact on its lifespan and performance. Fortunately, many wear-and-tear issues can be eliminated with proper maintenance and storage, and most damage can be addressed without replacing the item. By getting into a “Repair > Replace” mindset, you’ll save money and be more environmentally friendly. Your used gear is already part of the waste cycle, and by repairing instead of replacing, you’re reducing the carbon output of the manufacturing process. We’re stoked to see brands jumping on board with this. From Osprey’s All-Mighty Guarantee to Patagonia’s Worn Wear initiative, eco-conscious brands actually encourage customers to repair their gear. 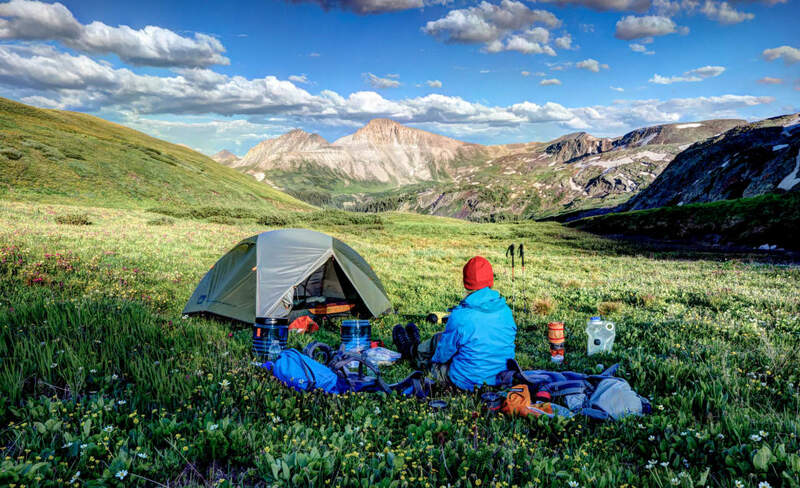 A great place to start is your local gear shop for a variety of repair kits, including waterproof patches, hammock and tent kits, seam tape, and more. And, if it’s a bigger fix you don’t feel equipped to handle, many brands have a warranty repair program. Fortunately, you don’t have to be an expert to keep your gear in good working order; it just takes discipline and know-how. Here are some insider tips on how to clean, repair, and store your big-ticket items, which will keep more money in your bank account and raise your dirtbag cred at the same time. Cleaning: Before breaking down your tent, pick the whole thing up and shake it out, removing potentially abrasive debris. For a more thorough cleaning at home, set up the tent and wipe down the fly and body with a diluted mixture of hand soap and warm water. Never use detergent or put the tent through the washing machine—it can damage any protective coatings. 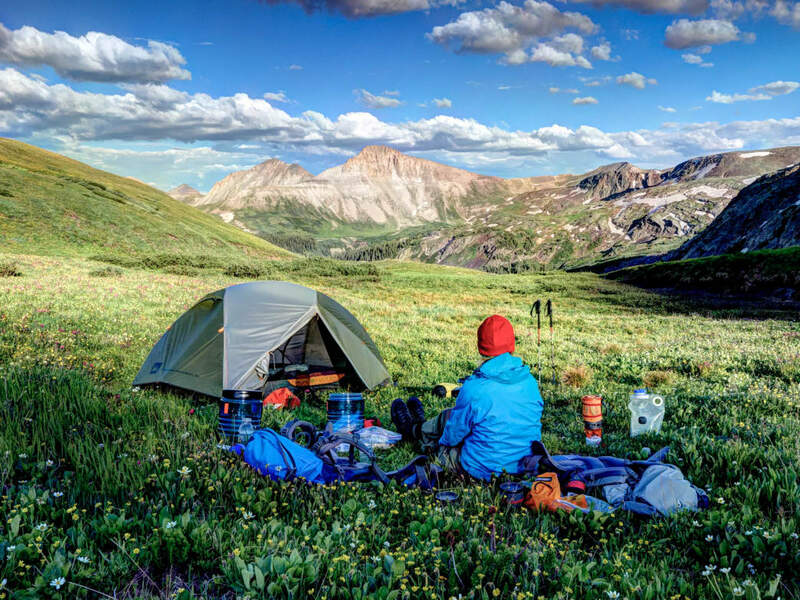 Repairs: Silnet is a great product created specifically for treated nylon products like tents. It works like Super Glue and can be used for seam reinforcement or to fix pinhole tears. Small rips in the mesh can be repaired with mesh repair patches, which have an adhesive that allows you to fix the tear without a sewing kit. Clean fabric with rubbing alcohol beforehand, allowing sufficient drying time, to help the patches stay in place. Storage: The first rule of thumb: Always store your tent flat and clean! Resist the urge to crumple it into the bottom of a stuff sack. 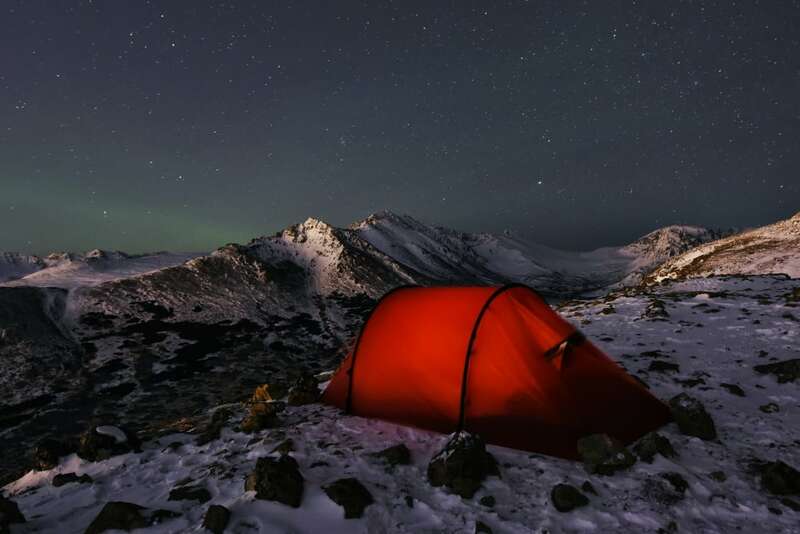 Yes, it’s so easy to let camping gear get strewn everywhere after a trip, but take the time to lay your tent out and fold it along the seams, where it’s least likely to crack, and you’ll improve its lifecycle. Cleaning: Experts recommend washing down items at least every season, which helps maintain the loft and warmth-to-weight ratio. Find a front-loading machine (the agitators in top-loading machines can damage the fill) and wash on a gentle, cold cycle with a small amount of down-specific wash. It helps to add a few other items in the machine to balance the spinning. Tumble dry on a gentle setting, checking often—if the dryer gets too hot, the face fabric can melt. When the item is nearly dry, add a few tennis balls to the dryer to break up any clumps of fill. Repairs: A small tear in the face fabric shouldn’t be the end of a jacket or sleeping bag. 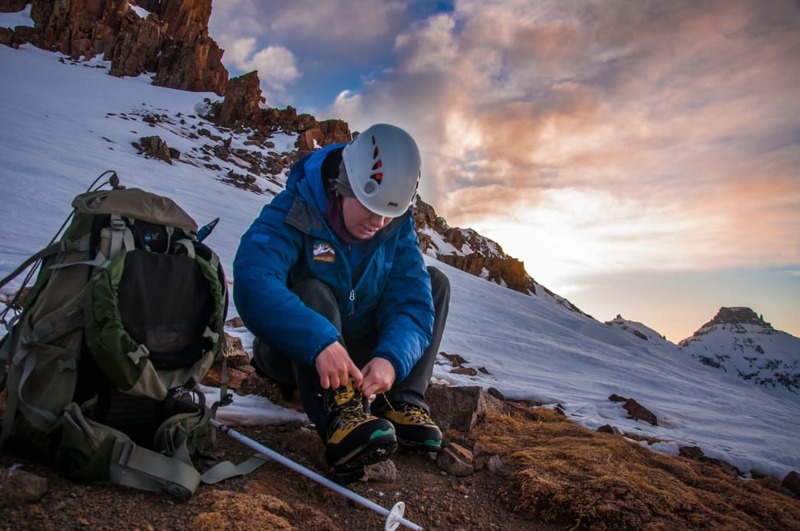 Take a glance around any group of outdoorsy folks, and you’ll see gear decorated with patches of duct tape, which is all it takes to fix a small tear. Storage: Always stash your down items at their highest loft possible, which means don’t compress them into tight bags for long-term storage. Leaving down compressed can degrade the loft and creates weakness in material treatment. Upon returning from your trip, remove the sleeping bag or jacket from its stuff sack and shake it out. Your sleeping bag likely came with a large mesh or lightweight bag—perfect for storage. If you don’t have the original, you can find one online or at a local gear shop. Cleaning: Rain gear needs to be washed a few times per season, especially gear with an ePTFE membrane. ePTFE is an expanded plastic membrane with 9 billion pores per square inch. This technology creates a waterproof, breathable layer that prevents water drops from saturating, but allows the vapor to leave. ePTFE—utilized in garments listing Gore-Tex or eVent—is oleophobic, which means oils from your skin can clog the microscopic pores and cause the jacket to lose breathability. No matter what the waterproofing, rain gear has a Durable Water Resistant (DWR) treatment on the face fabric, and residue from campfires and other contaminants can reduce the effectiveness of the coating. Washing garments with mild powder detergent or a tech wash will revive it. Repairs: Feel like your older raincoat is losing waterproofing? Make sure you’re not just sweating it out—the jacket might just need to be washed. Second, check along the seams. If you find a seam failure, a product like Seam Grip can come to the rescue. For small tears on the face fabric, a patch kit from the manufacturer or your local gear shop will do the trick. To revive an older garment, give it a DWR treatment and it’ll feel nearly good as new. Storage: Store your rain gear out of direct sunlight, preferably hanging up and not crumpled. This will help prevent the laminates from cracking. And it should go without saying, but never shove the jacket into the closet when it’s still wet, which breeds mildew and other funky, damaging stuff. Cleaning: While much of the backpacking world is migrating to synthetic trail shoes, leather hiking boots still hold a corner of the market. Keep yours clean and supple by scrubbing dirt off with mild soap and an old toothbrush, and treating with a leather cleaner every few months. Never put boots through the washing machine. Repairs: If your waterproof boots are wetting out, apply a waterproofing agent, following the package instructions. If the outsole is beginning to separate, it might be a job for your local repair shop, or you can try to DIY by applying an adhesive like Shoe Goo. Storage: When it’s time to put away the boots for the season, clean them thoroughly before storing them, removing all caked-on dirt. If the midsoles are removable, pull them out to allow ventilation. Cleaning: Have you ever given your backpack a thorough cleaning? Probably not, which means the straps are caked with sweat, the bottom is filthy, and something spilled inside at least once. Hand wash the pack in the tub with mild hand soap, turning it inside out and scrubbing inside every pocket. If you run the pack through a front-loading washing machine, place it in a pillowcase to avoid getting the straps and buckles caught. Always air dry—dryers can wreak havoc on the synthetic material, zippers, and other features. Repairs: There are a lot of things that can go wrong with a pack, and most don’t warrant a full replacement. Torn mesh, broken zippers, failing buckles, and fabric tears are all replaceable or easily fixed. Gear companies will likely send you the exact strap or buckle you need, and many will stitch mesh or fabric back together. Your patched-up pack will have way more personality. Storage: This one’s easy. Just store the pack clean without anything nasty caked to the inside. Cleaning: If you choose to wax your skis yourself, you probably have a good idea of what you’re doing. In short, you’ll clean up the edges with a diamond stone, apply a coat of wax with an iron, let it cool, then thoroughly scrape it from tip to tail with a scraper. Brush with a brass brush, then polish with a fiber pad. Not sure how to do it? Watch a video or ask someone at a ski shop before tackling it for the first time. Repairs: Take care of any dings right away—minor damages to the base can be peeled off with a sharp knife to prevent catching and dragging. The gouge can be patched later. Storage: Clean and dry your skis, and take care of any minor burrs that could result in rust. Store skis upright, preferably in a rack out of direct sunlight. Cleaning: Self preservation means keeping load-bearing (i.e. life-saving) gear in peak condition. Keep as much dirt off the rope as possible by flaking it on a rope bag or tarp when climbing outside, and never step on it. 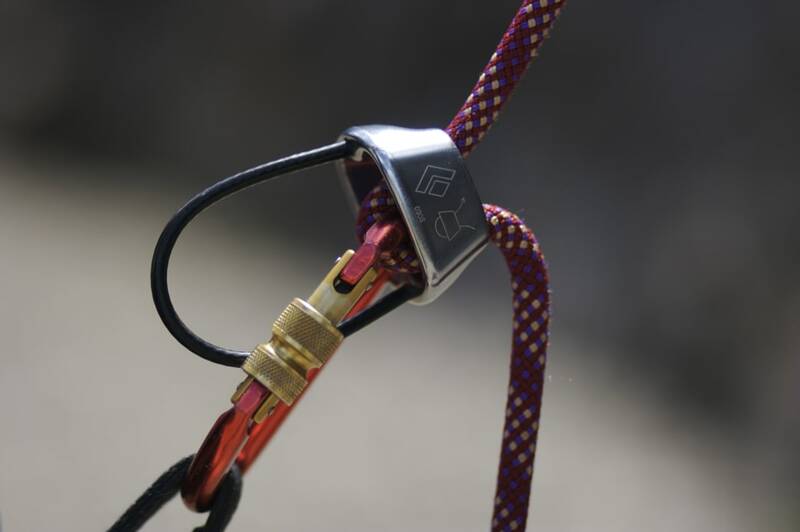 When your rope gets dirty, wash it with warm water and a designated rope wash and rope brush, feeling for soft spots, which can mean that section is core shot. Rinse thoroughly until the water runs clear. Hang the rope in large loops over a railing to avoid annoying pigtails as it dries. Repairs: The best way to repair a rope you’re unsure about is to not repair a rope you’re unsure about. Don’t risk it. Turn it into outdoorsy home decor by making a lovely rug. Storage: After thoroughly cleaning and drying your rope, flake it loosely into a rope bag or tie it into a butterfly coil. Store in a cool, dry place out of direct sunlight. When you take it out for the first use of the season, check the entire length up and down for soft spots.